I’m all about helping others live a real life on a budget. And I’m so glad that you’re here! This site exist to help others like yourself, stay motivated, encouraged, and inspired to make living life by a budget a reality. I know how hard it is to make this whole “real life on a budget” thing a reality. We’ve experienced many (and I mean many) failures with money and I’m sure we’ll experience more. BUT, we’ve also seen way more successes with our money due to actively managing our money well. I’ve been writing and coaching for a long time so I’ve got a TON of posts out there so I know that it can be a little overwhelming getting started here. So, below are just a few of my readers’ favorite posts on various topics. If you want to know more about me and my family that lives this whole real life on a budget thing with me, head here. Don’t know how to make a budget? No problem. I’ve got you covered with this FREE guide here. Wondering what budget software programs to use and if there are any good free ones out there? Here are my 3 favorite FREE budgeting software programs. Want to become a stay-at-home mom but don’t know if you can afford it? Here’s how to financially prepare so you can realize your dream of staying home with your kiddos. Constantly struggling to manage your budget? Here’s a little trick to help make managing your money well a little easier. 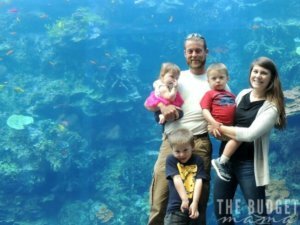 We paid off just over $55,000 of debt in 2 years all while growing our family of 5. Head here to grab the Excel template we used to plan our debt-payoff plan of attack (it’s FREE). Struggling to pay off debt and save at the same time? Head here to read how to make doing both a reality at the same time. Need a little inspiration with your debt-free journey? This post explains how we paid off $5,000 of debt in ONE month…no, it wasn’t easy. Want to go on vacation but not sure how you’ll be able to do it without using a credit card? Here’s how we make vacations a reality without credit cards. Working from home with kids in the house is harddddddd….no for real, it’s like real hard. 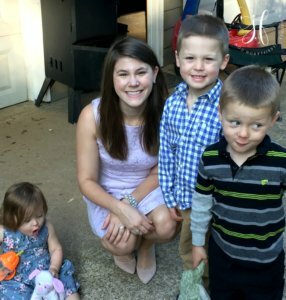 These are my productivity tips for actually getting stuff done for my business with my three little kids at home. Have a blog and struggling to earn an income with it? These are the three classes that took my blog from earning pennies to now earning thousands a month. Use ConvertKit but have no idea how to set up a landing page? This tutorial walks you through how to do it. Get encouragement and motivation sent directly to your inbox every week! I send out my weekly emails on Fridays and if you’re like most my readers, you’ll look forward to them every week! I share details about our financial lives that you won’t find on the blog along with real actionable things that you can do TODAY in order to manage your money well. Join over 20,000 other amazing members and make living a real life on a budget a reality!